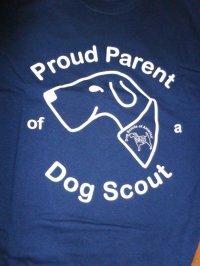 You must have a certified Dog Scout to order this item. 100% cotton shirt. Design features Sparky's head with DSA bandana on the full front of the shirt. Sizes larger than 3-XL must be special ordered.